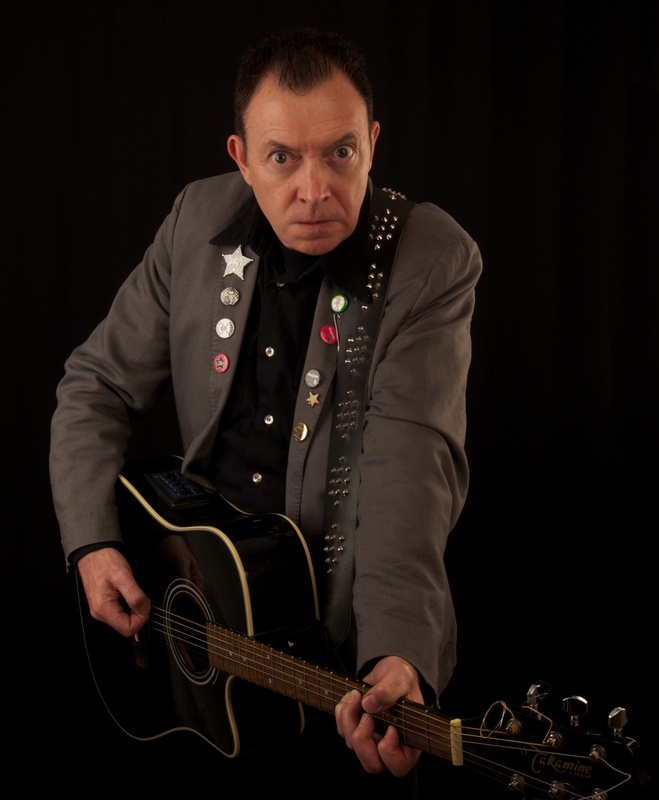 Jonzip, lead singer and rhythm guitarist with 70’s punk band, The Zips (www.thezips.co.uk), recently struck out on his own, with a foray into the world of Folk/Punk/Protest. With over forty years of songwriting experience, and armed only with some sharp words and a battered, acoustic guitar. this side-project, has resulted in the release of his debut solo ep, A Hard Rain At Sunshine Corner, on The Zips’ own label, Tenement Toons. The 4 songs, recorded with the help of Smiley Barnard and Pablo Cook of the late, Joe Strummer’s band, The Mescaleros, range from the folky, anti-war ballad, 1919 (Battle of George Square), to the almost world-music flavoured, Left Of Your Rights, via the Bo Diddly-goes-punk of Wrong Door Raid, and the more mainstream, pop-punk of Kill Your Darlings. In this so-called, nanny-state, the sleeve should surely carry a safety warning – Beware of Eclectic Shock! To promote the EP, Jonzip has embarked on the never-ending hAphAzArd Tour, that has taken in, amongst UK gigs, dates in Estonia, Sweden, Portugal and The States, as well as festival appearances at the Wickerman, Nice N’ Sleazy, and EH16. More dates will follow, in typically haphazard fashion! Jonzip – lend him an ear at your peril, you might not get it back! …more dates being added all the time – please check back regularly – track Jonzip on Bands In Town and join the free mailing list to make sure you never miss a show! 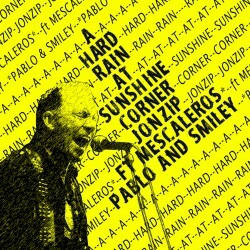 Buy A Hard Rain at Sunshine Corner on CD for just £4.50 inc. p&p! …preview all tracks and buy/download from iTunes HERE or click the button below….